Q: Do you need to be Jewish to attend school / Do you accept Non-Jewish families? A: We are a community school. We accept families of all backgrounds. Q: Do you have a Judaic curriculum / what type or how much Judaic curriculum? A: Each level provides opportunities for children and families to make connections to their Jewish heritage. Kabbalat Shabbat is every Friday morning with several of our clergy (Rabbi Pomerantz, Rabbi Davis, Rabbi Morrison, Rabbi Bair, and Cantor Segal) and our weekly Havdalah celebration is every Monday morning. Additionally, when children construct their knowledge of self and family through Jewish experiences such as celebrating the holiday cycle, sharing the Torah through story, and engaging with Israel throughout the year, the foundation for building the necessary connections is laid that can lead to developing a sense of Jewish identity and the formation of Jewish values. Q: Is your school accredited? A: Yes, we are accredited by the National Association for the Education of Young Children (NAEYC). Q: What languages are spoken: do children learn Hebrew / do staff speak Spanish? A: We are a multi-cultural community and many languages from Albanian to Russian can be heard around our temple. English is the primary language used in our curriculum, yet many staff members speak Spanish. Children will learn simple prayers and songs in Hebrew. A: Yes, please visit our menu options. Q: Do you offer tuition assistance or VPK? A: We do not accept VPK. Scholarships are available to temple members through a separate application process. Click here for more information. A: We do not provide transportation. Q: What is your discipline policy? 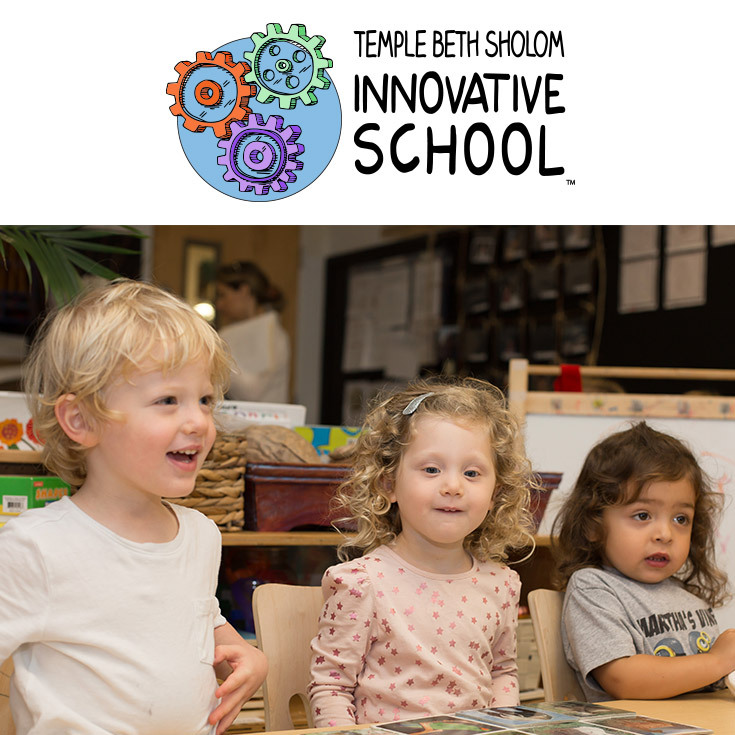 A: TLC (Teacher Loving Care) and consistency are the basic tenets of discipline at Temple Beth Sholom. Redirection, modeling, problem solving approaches and positive reinforcement are techniques implemented by our teachers. Our aim is to make the children secure in their home away from home. It is accepted knowledge in the early childhood education community that challenging behavior can be a form of expression for children with limited verbal skills. For example, some young children may hit, push, and bite when angry. Rather than be subject to a rigid prescribed set of responses, each situation will be dealt with on an individual, case-by-case basis, at the discretion of the director using good judgment and guided by current best practices. Although it is not possible in advance to determine what may be required, and in addition to other methodologies that may be chosen, the Head of School may determine that it is necessary to have a child accompanied by a professional facilitator or referred to an outside professional, at the family’s expense, or, if circumstances warrant, to exclude the child from school. Any professionals engaged to work in the school must have credentials and/or training acceptable to the school and must successfully pass the school’s standard background security screening. Parents will be made aware of ongoing behavioral issues and be expected to work with the school to develop a collaborative plan to resolve such issues. Staff never use physical punishment such as shaking or hitting and do not engage in psychological abuse or coercion. Staff never use threats or derogatory remarks and neither withhold nor threaten to withhold food as a form of discipline. For children with persistent serious challenging behavior, staff, families and other professionals work as a team to develop and implement an individualized plan that supports the child’s inclusion and success.